Cover image via Salt Lake Tribune. 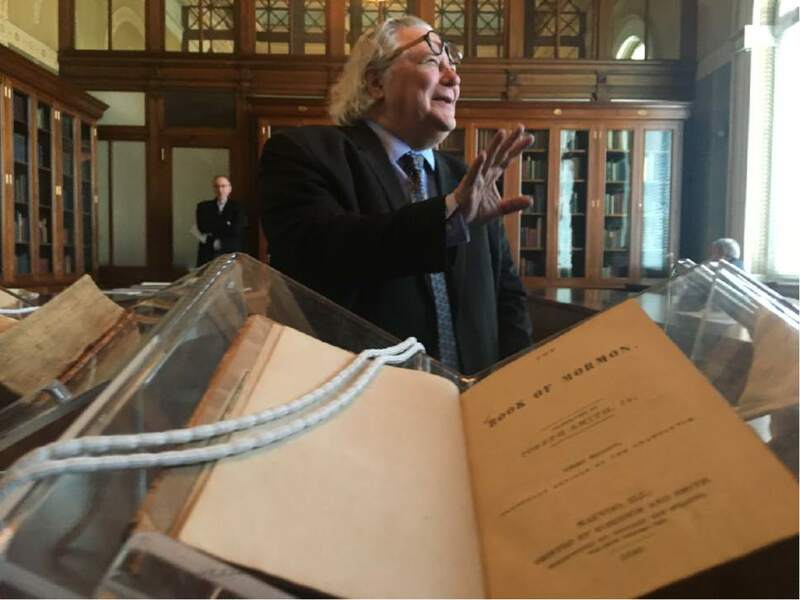 The Book of Mormon was highlighted Wednesday as one of America’s treasured tomes at the Library of Congress, which displayed several rare editions as well as the 1829 copyright record filed by church founder Joseph Smith. Nearly every Mormon in Congress as well as high-profile members of The Church of Jesus Christ of Latter-day Saints from the Washington region pored over the first and third editions, an original Book of Commandments from the faith’s founding and other rare items that are part of the Library of Congress collection. The Book of Mormon was chosen by the public as the fourth most influential piece of American literature in an online vote earlier this year. “It’s been a book that’s been extremely influential in my life. It’s interesting to hear it referred to as the fourth most influential book in American literature,” said Elder D. Todd Christofferson, a member of the LDS Church’s Quorum of the Twelve Apostles who earlier Wednesday became the first of the faith’s apostles to open a Senate session with a prayer. Nearly every Mormon member of Congress joined the event, including Sen. Orrin Hatch, who hosted the gathering and noted the importance of the library that includes, he said, a copy of his “faded” 1934 birth certificate. To read the full article on the Salt Lake Tribune, click here. Fault finders will always find fault. . Outstanding! Now I'm waiting to see how the announcement will be received by those who find fault with the church.